1. The early seventeenth-century banqueting house in the grounds of Bawburgh Hall (demolished in 1963). 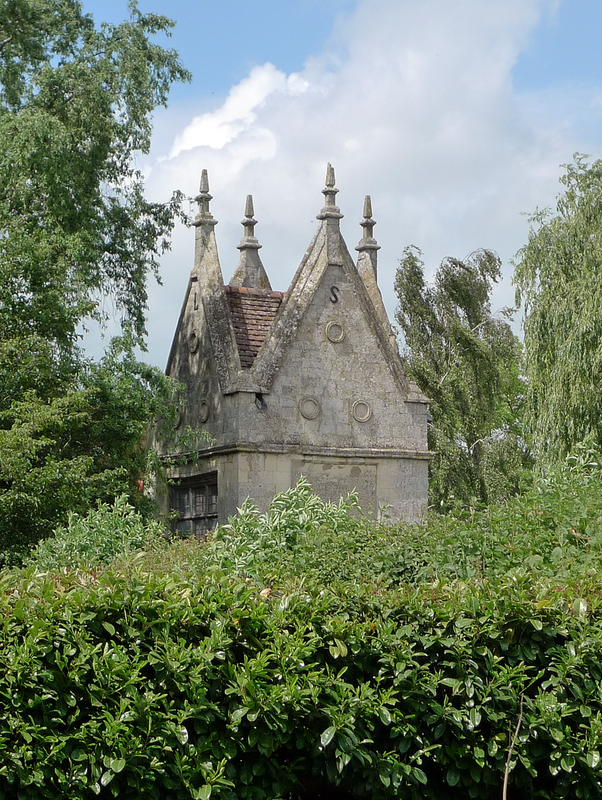 Although privately owned, the tall gables of the upper storey can be seen above the hedges from the nearby road. 2. 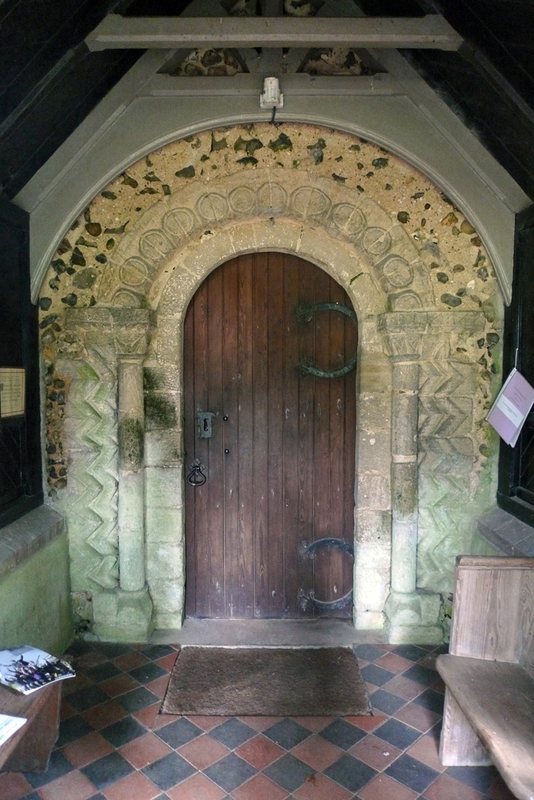 A fine Norman doorway at St Mary’s Church in Marlingford – the earliest surviving fabric in the church, which is mentioned in a will of 1000. 3. 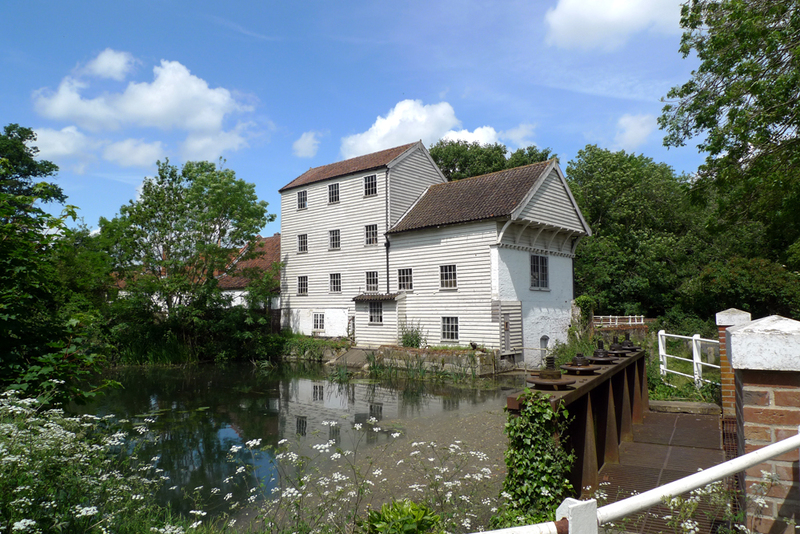 Marlingford Mill on the River Yare, refurbished in the 1850s on the site of an earlier mill. In the 1780s Parson Woodforde, whose famous diary is a much loved source at UEA, often sold his corn to the miller. 4. Two churches in one churchyard – St Mary (the ruined tower) and All Saints in Great Melton. St Mary’s remained in use until the nineteenth century, when All Saints was rebuilt and became the main parish church. 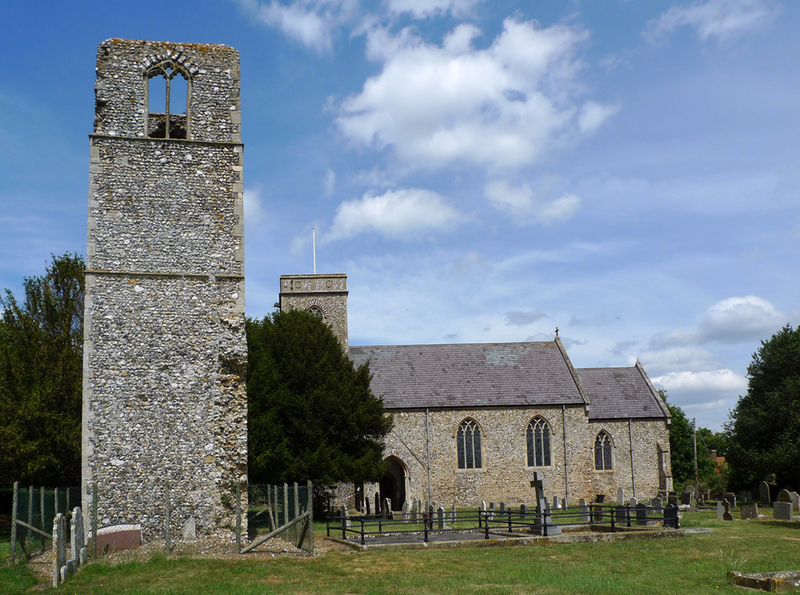 Multiple churches sharing a churchyard is not uncommon in East Anglia – in Reepham there were once three parish churches in one yard. This Spring we have enjoyed the very best and worst of the spring weather on field trips with our students whilst visiting two designed landscapes created almost a century apart, and very different in style and character. 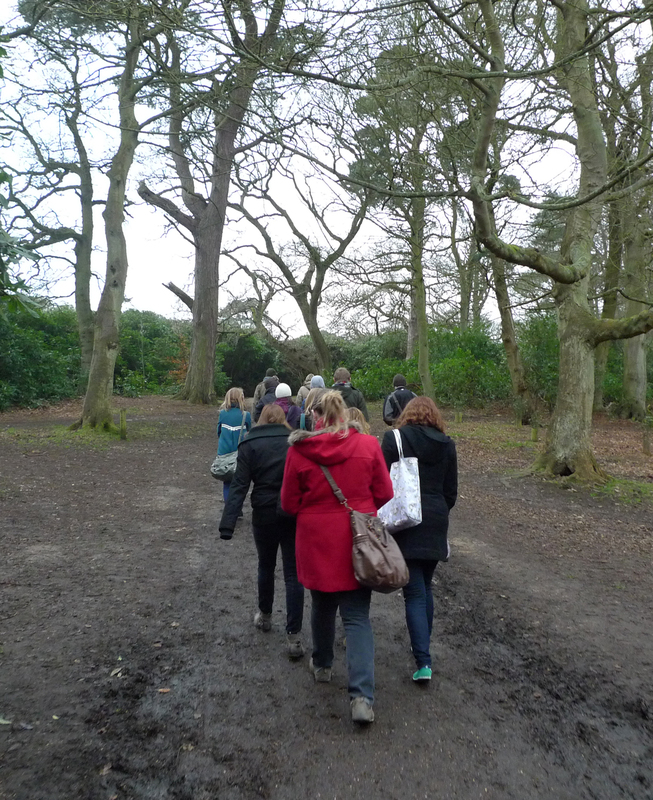 In February we visited Sheringham Park in north Norfolk, one of Humphry Repton’s final commissions. Repton produced the Red Book for Sheringham in 1812, which included the design of the house as well as the surrounding parkland. The main path to the house follows the line of Repton’s entrance drive, which winds through woods on top of the hill before turning a corner to reveal the house nestled at the bottom of a wooded hill. 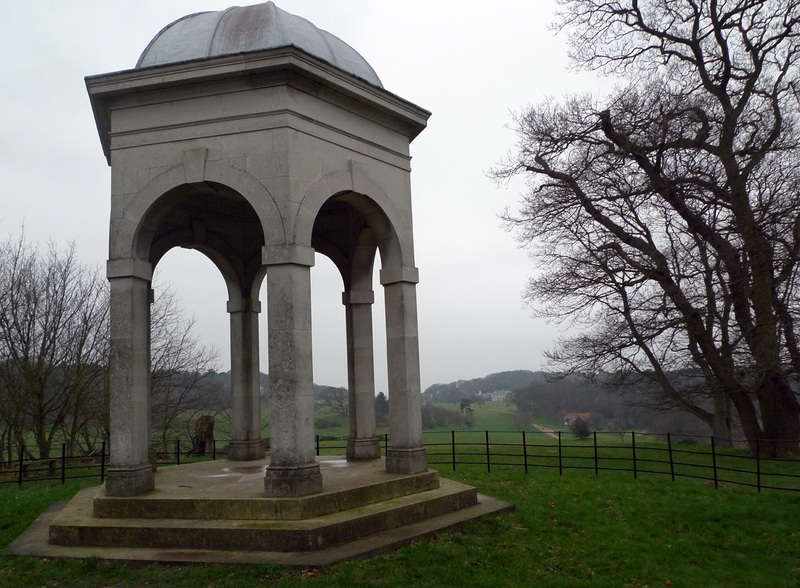 The temple on the edge of the park was part of Repton’s design, but was only built in the 1970s, before the National Trust took on Sheringham. The park is relatively small compared to others in Norfolk, but is perfectly formed, with wide ranging views over the surrounding landscape and towards the sea (shrouded in mist when we were there). 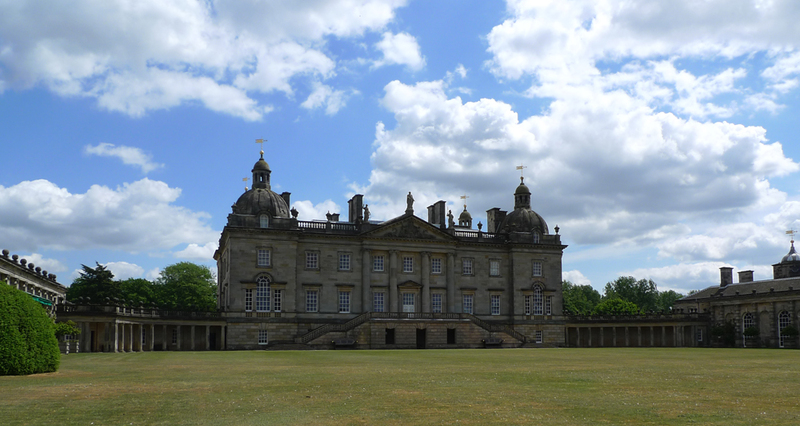 From an early nineteenth-century landscape to one of the most impressive early eighteenth-century formal landscapes in Norfolk – Houghton Hall, in the north-west of the county. The hall and landscape were created for Robert Walpole from the 1720s onwards, and due to a period of neglect in the later eighteenth-century, the park retains much of its original formal character. The landscape was designed by Charles Bridgeman, and many of his avenues, and one which predates his work, survive, albeit with much later replanting in some cases. Below, Professor Tom Williamson discusses the east view with undergraduate students, the construction of which included ‘the matter of moving the hill’ recorded in documents in the Houghton archives. Within the park at Houghton are a number of pre-parkland features, including a deserted medieval village, oak pollards and the earthworks of the agricultural landscape that existed before the creation of the park. 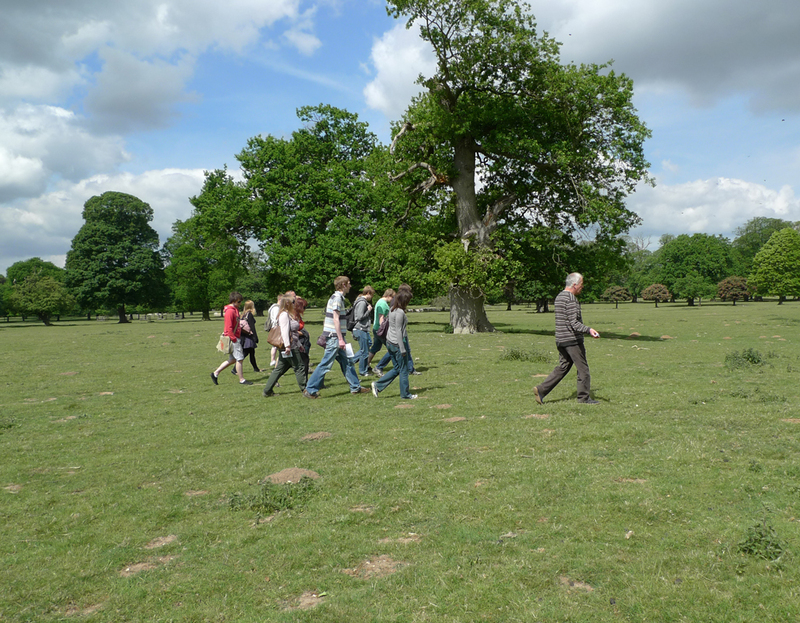 Above, our students walk over the faint earthwork of a medieval headland from the lost open fields of Houghton. Sheringham, too, has its share of parkland earthworks, including a number of field boundary banks within the woods. 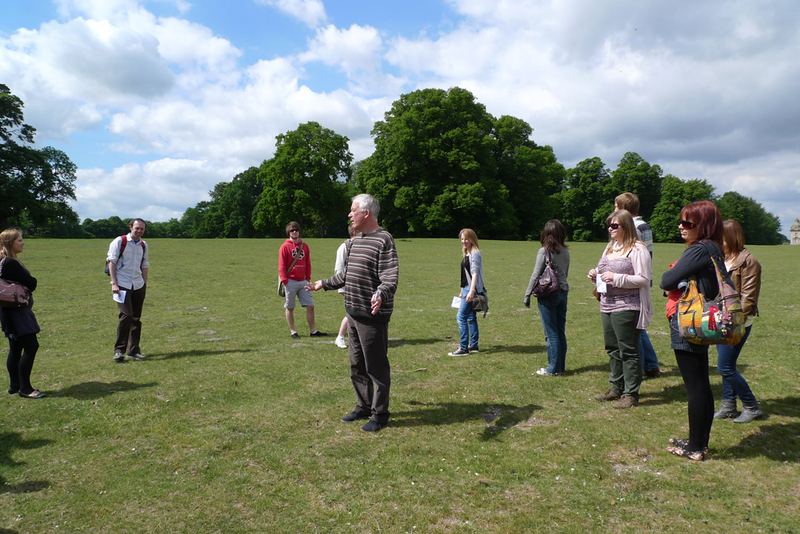 The study of parkland earthworks is a key part of landscape history, and in July we will be taking part in the CBA’s Festival of Archaeology with a guided walk around Earlham Park in Norwich to discover the ‘lumps and bumps’ within the park.